Whether you’re a fashion fanatic or want to fill your boots with high end souvenirs, there are plenty of luxury shopping experiences in Bali. In fact, we’d recommend leaving room in your suitcase – you’re sure to return home with more than you packed. So if you’re after high-end boutiques, bespoke jewelry shops and vast shopping malls then you’ll feel right at home. Between the opulent interior design and latest fashion trends, traditional embroidery and contemporary ornaments you’ll probably leave with more than enough aide-de-memoirs! Located in the heart of Seminyak’s main street, Bali Boat Shed is a perfect blend of quirky and extravagant. It’s iconic exterior can be found the most popular shopping strip on the Island of the Gods. The Bali Boat Shed website features only their three exclusive, in-house brands: Bali Boat Shed, Super Normal & Mosey Loves Elvis. However, venture into the store and you’ll find a collection of threads, featuring over forty-five of the best independent labels on the island. Ranging from bold to bohemian and everything in between, there is something here for every fashionista. Bali Boat Shed has secured it’s reputation as one of the top luxury shops in Bali for good reason, and it’s well worth a visit if you’re in Seminyak. Tucked away on the corner of Jalan Petitenget in Seminyak, Tulola Jewellery is the place to visit for jewellery hunters looking for the best luxury shopping spots in Bali. Nestled behind a row of palm trees, it is an exclusive showcase of one-off jewelry pieces designed by New York born Sri Luce Rusna. If you’re looking for jewellery souvenirs which combine traditional age-old Balinese techniques with contemporary Southeast Asian design, Tulola Jewellery will satisfy your needs. The glittering store may not be the biggest in Seminyak, but the quality, range and beauty of the unique handicraft make it more than worth a visit. You might recognize the style of the bespoke designs and motifs featured on the ceramic tableware pieces at Jenggala Keramik. After all, they are featured in many of the up-market hotels and most luxurious restaurants in Bali, as well as being internationally renowned. If you’re after souvenirs to impress your guests at dinner parties, be sure to bring something back from Jenggala! Here, you’ll find a selection of beautifully glazed, vibrantly colored works of glass and ceramic. The exquisite pieces are a cut above the normal selection of tourist mementoes and the showroom alone is worth visiting for its unique presentation. It’s a paradise for art and pottery lovers, and a haven for those in search of authentic Balinese home-ware. SOUQ is one of our favorite luxury shopping experiences in Bali. A lifestyle store that is overflowing with highly exclusive clothing, opulent jewellery, contemporary home-ware and furniture. The bespoke items here merge old-world crafts and materials with modern, sophisticated styles. An all-encompassing store in downtown Seminyak, SOUQ is a labor love. The creation of two passionate designers, there is an extensive selection of chic brands to be found here – as well as a cute in-store cafe. No stone has been left unturned in the carefully thought out design of this unique boutique. Be sure to give it a visit! Funky, eclectic and trendy, the Horn Emporium in Canggu is a treasure trove of unique tidbits. Whether you’re looking for antiques, art or unusual clothing, you’re likely to find something intriguing. The Horn Emporium also has more than it’s fair share of rare collectibles. You should certainly have a nose around! As you head down to Batu Bolong Beach you’ll easily spot the boutique due to the two big owls facing the adjacent street. Step inside to be immediately greeted by vintage items, gorgeous fashion items and curious paintings. Surely one of the top luxury shops in Bali, nothing at the Horn Emporium is run of the mill. Inspired by ten years of working with some of the talented local artisans in Indonesia, creative director Leah Hills founded The Bali Tailor. Her goal is to help fashionistas be the designer of their own wardrobe, by altering and customizing their own pieces. The result? A stunning selection of clothing. Our suitcases can’t hold enough! This makes shopping at The Bali Tailor one of the top luxury shopping experiences in Bali. Be prepared to fall in love with the timeless fashion of the island, but also enjoy the freedom to make subtle alterations to suit your personal style needs. We promise that you’ll find something which suits you down to a tee. Full to the brim with contemporary luxury, Kamala Home is the place to go for designer furniture and interior in Bali. It’s laid out like your dream home, with locally sourced and made furniture, vivid colors and beautiful fabrics. Kamala Home describe their current style as ‘tropical modern’ – it blends West and East, featuring geometric patterns and funky embroidery. Whether or not you end up buying any of the silky upholstery, decorated cushions or quilted bed-covers, popping into Kamala Home is sure to inspire your inner interior designer. Despite their vibrant and contemporary design, many of the pieces here are also inspired by Balinese antiques. A visit to this showroom is one of our favorite luxury shopping experiences in Bali! Just a stones throw from Kuta’s beach lies the Beachwalk Shopping Center – a retail-therapy paradise offering some of the finest luxury shopping experiences in Bali. It features designer favorites such as Armani, Boss and Versace as well as tropical garden features and sunset views. For trendy garments from Balinese designers, check out SATU and Moeda – two multi-brand boutiques which are definitely worth checking out. 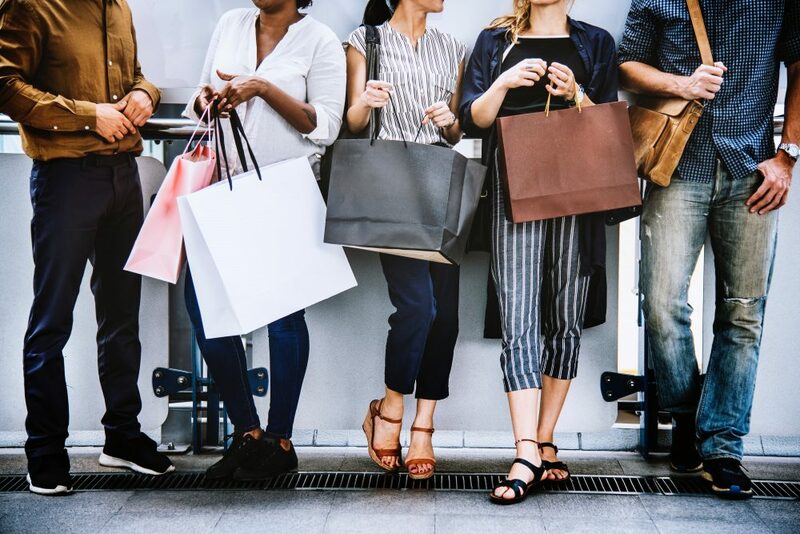 In our opinion, the various outlooks easily provide enough shopping to fill a few days, but there’s more to do if you’re feeling all shopped out. XXI Cineplex is probably the best cinema on the island and there is a great selection of places to stop for a bite. You’ll find classic Indonesian dishes as well as Japanese, Mexican and European cuisine options. Need a seductive holiday villa to relax in after exploring our favorite luxury shopping experiences in Bali? Don’t worry – we’ve got you covered. Check out our favorite beachfront villas right here!